Innovation and artistic value are not properties which disappear when a genre enters the mainstream, and nowhere is there more evident than in documentaries. There are copious examples of recent efforts which have found a relatively wide audience while pushing the genre envelope, from Kevin Macdonald's nail-biting Touching the Void to more introspective works like The Arbor and Of Time and the City. 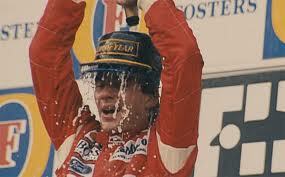 Continuing this trend is Senna, a really great documentary which could be one of the year's best films. Senna is a documentary about the late Formula 1 racing driver Ayrton Senna, which is constructed entirely from archive footage of him. This incorporates TV race coverage, press interviews, TV appearances in Brazil, behind-the-scenes footage and family home video. Although other voices appear over the footage, there is no consistent narration to impose a particular version of events over what we see. Senna is allowed to tell his own story, like he is reading from pages of a diary which switches between the first and third person. One of the instant advantages of this approach is that Senna avoids the cliché of the talking head. These are individuals connected with the subject or more contemporary commentators, whose often platitudinous insights can drag even the best documentary into tedium and mediocrity. 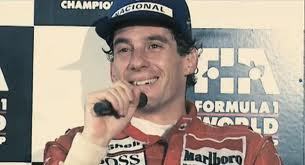 But just as Julien Temple's rock documentaries have sought to capture the feel of a band rather than just what people have said about them, so Asif Kapadia makes us instantly immersed in the character of Senna as he saw himself, rather than just the reputations he accrued. Another coup of Kapadia's film is that it makes the televisual cinematic. Normally when TV footage is put on the big screen, it looks out of place because of a difference in aspect ratio or frame rate which breaks the flow. But Kapadia does not let this happen, blowing up the footage very carefully and reframing key scenes so that we zoom in on the characters' faces and emotions. The pace of the film, both as a thrill ride and a piece of storytelling, keep any technical quibbles out of our minds, so that even when the footage is grainy or incomplete, we don't complain. 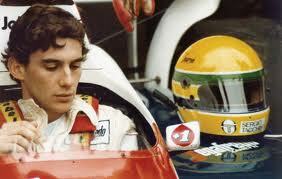 Senna explores a number of themes related to racing driving and the personality and attitudes of the drivers therein. There is a repeated mention of "real driving", the pure sensation of driving for its own sake, in which the goal is not simply winning but winning through pure talent and passion alone. It is this pure devotion to what he loves that made Senna stand out from the other drivers, and which led him to become a national hero in his home country of Brazil. Senna's complaints about racing technology mirror concerns in the sport as a whole, and comment on how the nature of Formula 1 has changed since he started racing in the 1980s. The tipping point comes in 1992 when Williams introduce new suspension technology on their car; at this point Senna's form begins to decline because he cannot adjust his pure style of driving to technology designed to make the driver do less work. Within this there is a comment on how technology determines not only the style of racing but also the personality of the driver. In the middle of the film there is a conversation between Senna and Jackie Stewart, in which they talk about the changes in technology and how that has affected the flair of different drivers. The implication is the less there is for a driver to do in a race, the less there is for the driver to be, with said individuals hiding behind endorsements and statistics in the absence of real, passionate charisma. This difference in approach is further communicated in Senna's bitter rivalry with Alain Prost. 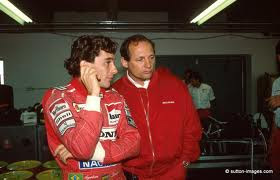 Senna races with a pure spirit and an often reckless urge to win at any cost - he is not content to play the political games and he never does it for the money. But Prost, who is nicknamed the Professor, is content to play those games and drive according to mathematical calculations - if he can win a championship by staying in fifth, he will stay in fifth. Much has been written about how Prost comes out as the villain of the film, and it is undeniably true that at the height of their respective careers both men hated each other. But in fact, their relationship is far more complicated than simple rivalry. Beneath the public scrapes involving crashes and back-chatting, there is some form of mutual underlying respect which these men retained throughout their careers. 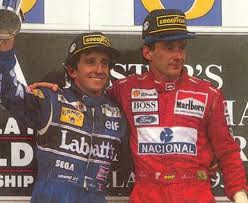 In spite of completely different styles and attitudes, both men were willing to acknowledge the other's talent, which might explain why Prost currently serves as a trustee for Senna's charity. If we wish to paint the documentary purely in terms of heroes and villains, then the true antagonists are the Formula 1 regulators. The film examines the conflicted and clouded politics of professional racing and how the rules designed to make racing fair and exciting often go against the very things the drivers (or at least Senna) want. In one sequence, the FIA President Jean-Michel Balestre emphasises a particular regulation, only for the majority of drivers to vote against upholding it. In another, there is a heated disagreement about racing lines on the starting grid which leads to a spectacular crash involving Senna at the start of a race. But although Senna focuses on the physical effort and talent involved in racing, an equal amount of its focus is on the spiritual aspect of the sport. 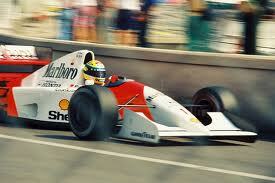 Senna was a devout Roman Catholic who prayed to God before each race, and who believed that God had called him to drive this fast and in this way. 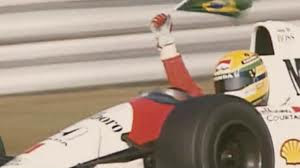 The way Senna talks about God often drifts in Chariots of Fire territory, so that you almost expect him to say: "when I drive, I feel his pleasure". 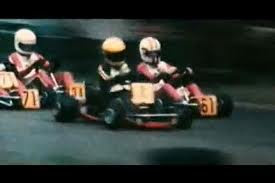 But the documentary also shows that this relationship was not straightforward; the first time Senna feels God's presence, he crashes at Monaco, throwing away a huge lead and losing the race. Because the outcome of the subject is widely known, certain moments in Senna take on an eerie quality so that they become harbingers of his tragic death. When he goes on Brazilian TV after becoming world champion, a girl kisses him and wishes him a happy new year for every year up until 1993, the year before he died. In 1991 he talks about having many years ahead of him and still so much to achieve. Like Amazing Journey, the film touches on the possibility that certain individuals are so prodigiously talented that they were not put on this Earth to make old bones. 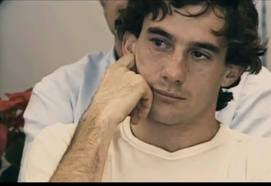 And like Keith Moon, Senna's death was both a tragic accident and something to be expected by the way he lived his life. Even if you're not a fan of Formula 1, or particularly interested in the spiritual side of sport, there is more than enough in Senna to get your heart racing. Some of the racing footage is genuinely scary, as cars pass within inches of each other through corners and the on-board cameras give you a sense of speed with wider shots would not. 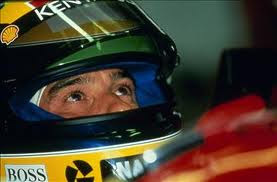 Senna's driving throughout is extraordinary, and in appreciating this we follow his emotional journey. We feel his intense anger at being disqualified from the Japanese Grand Prix in 1989, and both his joy and immense pain after having won in Brazil in 1990 despite having to drive the last few laps in a single gear. 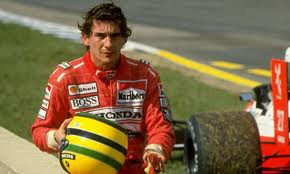 There are aspects of Senna's life which remain absent from the documentary, such as his relationships with women and his influence on popular motoring, such as working with Honda on the NSX. But all in all this is a great documentary which is gripping, insightful and highly emotional. It does justice both to the man and to the ideals for which he stood, while leaving plenty of things open to interpretation. 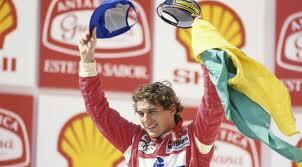 Like Senna himself, it is accomplished, thrilling and ultimately heart-breaking.